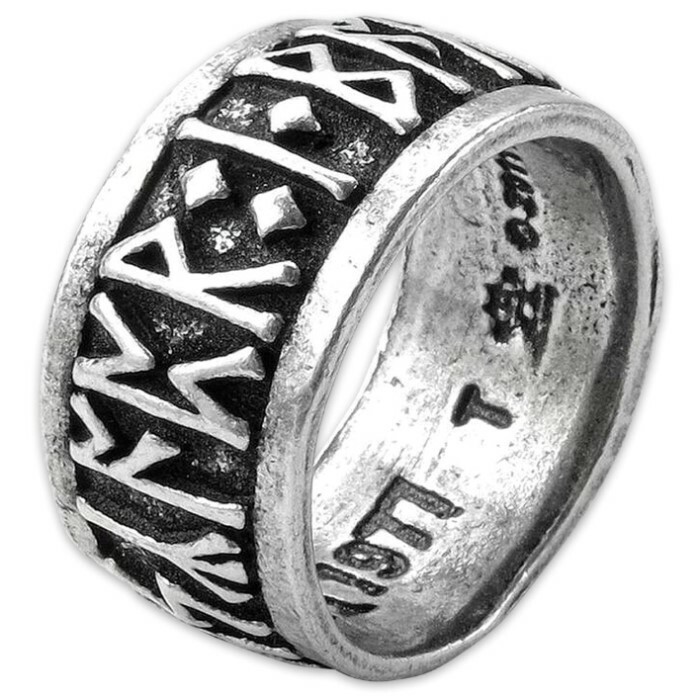 Written in magical Nordic runes, “Poetry in Battle”, this ring will protect you from the battles to come. 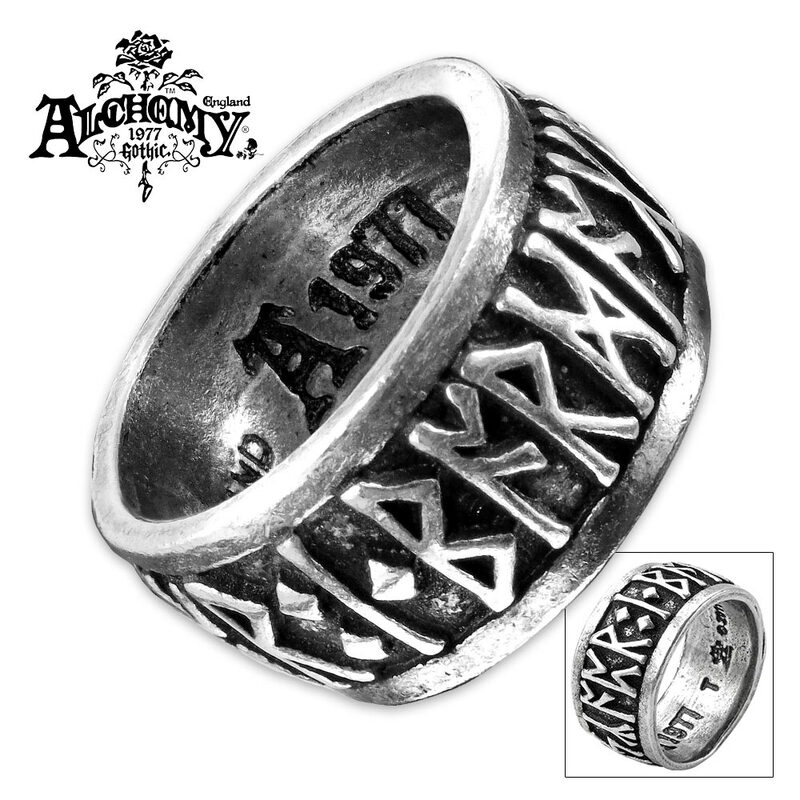 This Rune Band Ring is an authentic piece of jewelry for the metal warrior. 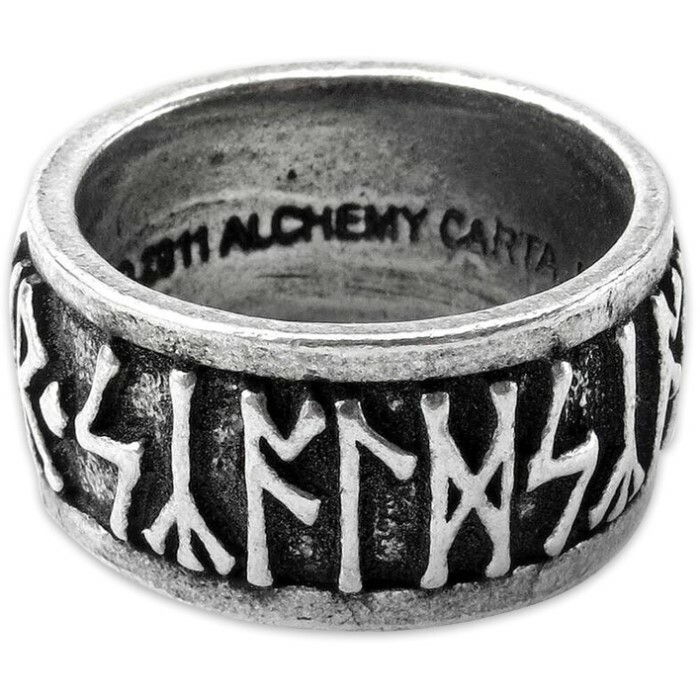 It is crafted of fine English pewter with deep-cut rune letters. It comes in sizes 8 1/2, 9 1/2, 11 and 12.